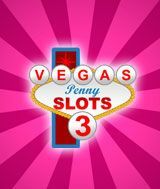 Download Vegas Penny Slots Pack 3 for free at FreeRide Games! Vegas Penny Slots Pack 3 - the most amazing slot games ever made, in one package! Games included are Barons Bonanza 2, Mystic Panda and Mystic Genie. Barons Bonanza 2: Take on the Red Baron himself in Barons Bonanza 2 HD! His distinctive red plane soars across the reelset just waiting for you to engage him in virtual combat! Win huge bonuses with our first ever Feature Accumulator. Mystic Panda: With more features than you can shake a pandas paw at, Mystic Panda Slots is here! Bonuses include the zany Wild Panda Feature, the simply majestic PandaMoneyium Feature and the all new PandaMine Jackpot. There are 60 achievements to win and three different doubleup rounds to play. 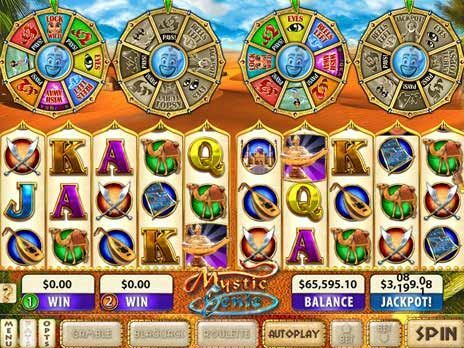 Mystic Genie: Experience the exotic delights of ancient Arabia in Mystic Genie Slots. Make a wish on the Mega-Wish wheels and see if it comes true! There are 5 amazing bonus upgrade wheels to play. Unlock the wheels as the free games progress and be amazed by mysterious new bonuses coming direct to you from the Genies wishes. 5 reel, 6 reel and Special Edition play modes. Unlock game features by winning awards. Roulette, blackjack and doubleup in every game.